The U.S. Army Garrison Hohenfels Training Area is located in the Free State of Bavaria in the Oberpfalz (Upper Palatinate) approximately 45 miles southwest of USAG Grafenwoehr, and less than 60 miles from the Czech Republic border. The garrison is surrounded by charming towns like Amberg and Neumarkt, and smaller towns like Velburg and Parsberg. It is located about 1 1/2 hours from Munich and midway between the cities of Nuremberg and Regensburg which offer much to see and enjoy. The garrison is named after the market town of Hohenfels. The U.S. Army Garrison Hohenfels is the largest U.S. Army Europe maneuver training area and comes under the command of the Commanding General, Joint Multinational Training Center, Grafenwoehr. The mission of USAG Hohenfels is to conduct maneuver training for all U.S. Army Europe Combat Battalions and to support NATO training activities. In addition to the Joint Multinational Readiness Center, USAG Hohenfels is the home of the 7th Army Training Command, the Combat Maneuver Training Command, and the 2nd Cavalry Regiment. Government quarters, as well as private rental properties, are located within a 45-minute drive from the USAG Hohenfels. Private rental, government built-to-lease and Government Rental Housing Program (GRHP) quarters are positioned throughout the area in many of the surrounding small villages and towns. All personnel with command-sponsored family members (36-month tour) are eligible for government quarters. Only active duty military and their command-sponsored dependents are eligible for government-owned, built-to-lease, or GRHP facilities. The Department of Defense Dependent Schools provide education for children from kindergarten through grade 12 at USAG Hohenfels. Children of contractors can also attend on a space-guaranteed tuition-paying basis. Minor dependents of DoD U.S. government contractors, technical experts accredited by the DoD Contracting Personnel Office are included in this entitlement (as long as the terms of their contract contain such provisions). Also, be ready to provide local and stateside emergency contact telephone numbers and addresses and your local contact information. Homeschooling also is authorized for children of eligible Hohenfels personnel. It's up to the parents to procure any homeschool curriculum before deploying to Hohenfels. Military and civilian sponsors of school-age children who do not plan to enroll their children in a DoDDS-E school must complete a registration form to indicate that their children will be enrolled in a host-nation school or in a homeschool program. There are several private schools in the Hohenfels area. Contact Army Community Service for current information about private schools. 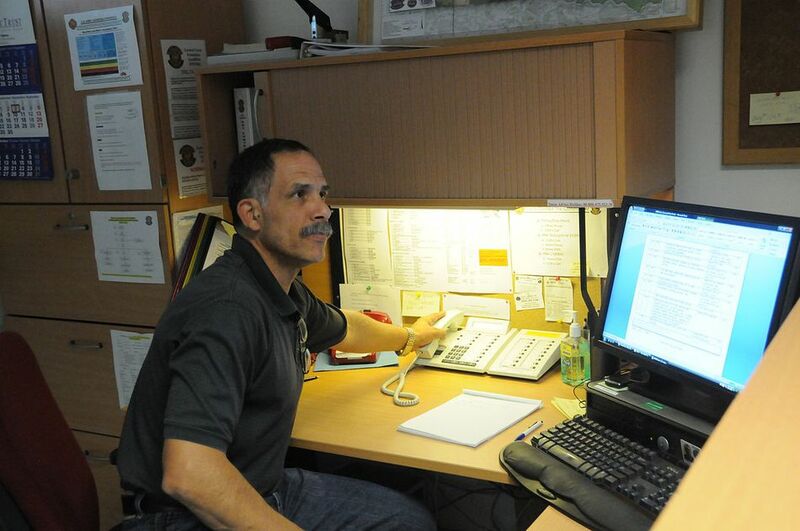 USAG Hohenfels offers opportunities for continuing education with a learning center, testing program, and four major colleges. The USAG Hohenfels Community provides quality child care in DoD accredited facilities. The Child Development Center (CDC) offers a variety of Child Care Services including full day care and part day care. School Age Services (SAS) offers a variety of activities throughout the school year and summer. There are several programs for children on the Hohenfels installation. Some include infant massage classes, Kindermusic, and Baby Sign. There is also an EFMP Lil Troopers playgroup that is open to all children 3 and under. The library has storytime for all age groups as well as arts and craft times. PWOC offers a variety of child-friendly activities. Hohenfels Health Clinic provides general outpatient care, sick call, and routine appointments for active duty and family members. Retirees and their family members are seen on a space-available basis. Services available through the facility include well-woman and well-baby examinations, immunization clinic, laboratory, X-ray, pharmacy services, minor surgical procedures, minor trauma, and physical exams for flight, job, and routine purposes. Family members are authorized to receive dental care at the Hohenfels Dental Clinic on a space available basis.